Conservative Bolton Has Long Been a Trump Favorite - Integration Through Media ....! 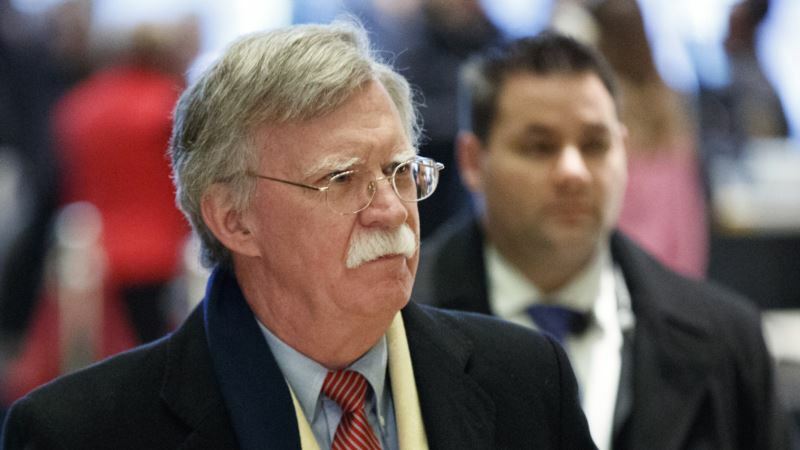 (VOA): John Bolton, chosen by President Donald Trump late Thursday to replace H.R. McMaster as national security adviser, is a career lawyer and diplomat who has long been on the president's short list to join the administration. The lifelong conservative has taken hawkish public stances on such issues as North Korea's nuclear program. In February, he told VOA's Korean service that Pyongyang's recent overtures aimed at renewing talks on the issue were "simply a continuation of their propaganda strategy. I mean, we've been down that road several times before, and it's failed every time." Bolton has also been critical of South Korea's "sunshine policy" regarding the North. "I think we've run out of time" in the effort to prevent Pyongyang from developing nuclear weapons that could hit the United States, he told VOA. But rather than the U.S. taking defensive action, he said, he hoped the U.S. could persuade China "to do something that might eliminate the need for it." When questioned about a possible role in the Trump administration, however, Bolton kept mum. "I never comment on those kinds of questions," he said. At present, Bolton is a senior fellow at the conservative American Enterprise Institute, a senior adviser for a capital management firm, and a Fox News commentator. He is involved with several conservative policy institutes and lobbying groups, including the National Rifle Association, and he serves on the board of directors for EMS Technologies, a Georgia wireless company that has been a subcontractor on Department of Defense projects. Bolton served in the presidential administrations of Ronald Reagan, George H.W. Bush and George W. Bush, and held roles in the Justice and State departments, making use of his legal and security expertise. Most recently, he served as the 25th U.S. ambassador to the United Nations under the George W. Bush administration. ​Critical of U.N. Although he was a U.N. ambassador, Bolton has openly criticized the international organization as ineffective. His tenure at the United Nations lasted from August 2005 to December 2006. His was a recess appointment, meaning he did not have to undergo a Senate confirmation process. Bolton left his position when the appointment ended; he was seen as unlikely to win confirmation by the Democratic-majority Senate that took office in January 2007. A public figure since the 1980s, Bolton is known for arguing against enforcement of a U.N. biological weapons convention in 2001, saying the agreement would put U.S. national security at risk by opening suspected U.S. weapons sites to inspections. In a 2003 speech while serving in an arms control and international security post in the State Department, Bolton described North Korean leader Kim Jong Il as a "tyrannical dictator" and added that for North Koreans under Kim's leadership, "life is a hellish nightmare." Bolton has said in a memoir that his "happiest moment" at the State Department was removing U.S. support from the Rome Statute that set up the International Criminal Court. In 2009, Bolton proposed a solution to the Israeli-Palestinian conflict in which Gaza would be placed under Egyptian control and the West Bank would become part of Jordan. Bolton has publicly considered running for president but has never actively campaigned. He has long been a Trump favorite and was considered for the position of national security adviser before it went to H.R. McMaster in February 2017. The national security adviser's position does not require Senate confirmation. VOA's Korean service contributed to this report.